If you have been diagnosed with sleep apnea and you have been wearing a continuous positive airway pressure (CPAP) mask, you may find wearing it is slightly embarrassing, especially in the presence of your partner. You may find it uncomfortable and noisy, too! Even though it may solve your sleeping disorder, it makes it difficult to turn over or move from side to side when trying to sleep. 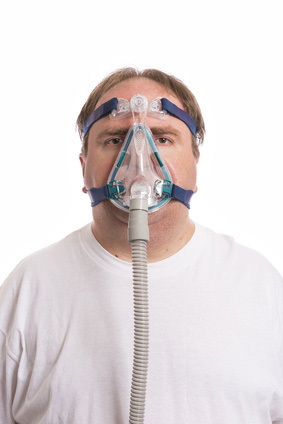 “I hate my CPAP” is a commonly heard expression from those who have had to wear one. There are alternatives available if you don’t like using CPAP which help to keep your airway clear enough to allow you to breathe while asleep. These appliances don’t force air into your lungs, but they clear the airway so that you can go about breathing in a more natural way. Some of your breathing problems, including snoring, might be just as easily alleviated by using a mouthpiece to position your jaw correctly, so that when you breathe your airway is clear. The position of your teeth may be causing your sleep disorder. If they are out of place they may be constricting your airway. The most important fuction of our jaws and teeth are to maintain our airway. When the structure is poor the tongue and jaw can drop back blocking the airway. Oral Appliances can maintain the airway by stabilizing and advancing the lower jaw and the tongue. In children early interceptive orthodontics with functional appliance can grow the jaws and expand the mouth making more room for the tongue and allowing regular breathing. Extraction orthodontics can actually cause crowding of the tongue and lead to sleep apnea and TMJ disorders. There are other appliances that position your jaw in such a way that your airway is clear and tongue retaining devices that hold your tongue in place. It is much more comfortable and less embarrassing to both you and your partner if you slip an appliance quietly into your mouth rather than face the noise and disruption of a CPAP. The DNA appliance has been shown in case reports to grow patients out of sleep apnea offering a non-surgical cure. While you are sleeping, you might snore more than usual because your airway may be blocked while you are trying to breathe. This blockage is most commonly your tongue simply relaxing and falling backwards towards your throat. This may obstruct your airway. As your air flow might be less because of your constricted airway, vibrations come from your soft tissue and tongue which may cause you to snore. The closure of the airway is an active process and small airways are predisposed to being sucked shut by the vacumn caused by breathing. There is a simple device available called a Tongue Retaining Device (TRD), which is an alternative to CPAP. This is custom made of a soft and pliable material with a compartment where the tongue is placed and held through suction. This helps to stop your tongue from falling backwards as an oral appliance and helps you to sleep better. Dr Shapira was at Rush Medical School in Chicago as a visiting Asst Professor when the TRD was developed and tested. He was friends with Dr Charlie Samuelson the psychiatrist who invented the TRD and Dr Rosalind Cartwright PhD who wrote the early publications. 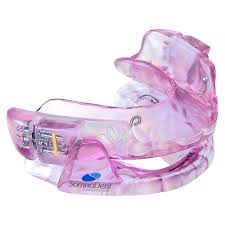 Another less invasive orthotic device than the CPAP mask is the mandibular advancement device (MAD). It is a mouthpiece made of an acrylic material and fits comfortably over the lower and upper teeth while holding the lower jaw forward a little. This mouthguard helps the tongue and the soft tissues in the throat to keep in a position that ensures the airway is open so normal breathing takes place while you are asleep. We can adjust a MAD for you. This function means that the right place for the MAD is possible without having to make a new appliance. 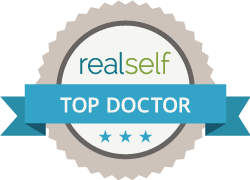 Before you give up using your CPAP, you should obtain an evaluation of your current health status, as with some types of sleep apnea a CPAP may be the only choice you have. As CPAP use is not always necessary, we can discuss the more comfortable and less intrusive alternatives with you. Treating Sleep Apnea is important , the choice of treatment belongs to the patient.